Outdoor Furniture Materials including Cordage and Webbing in multiple colours. 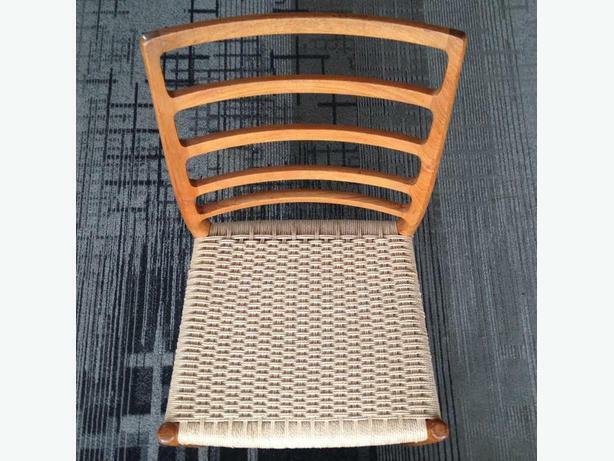 Out of town clients can post or courier woven furniture for repair. Please see chair shipping page for details. Holes are drilled around the perimeter of the frame and individual strands of cane are hand woven through the series of drilled holes. Most dining room chair seats or backs are removed by removing 4 screws, which screw up through a bottom or side of the frame and into the seat or back frame. These very Classic Danish or Scandinavian chairs had seats woven out of a 3-ply heavy twisted paper cord called Danish Cord. Fibre rush is a tough grade paper twisted to resemble natural rush. Material is wrapped around the four dowels framing the square of a seat creating four triangles.